Blue evokes a feeling of serenity and calm. Choosing a soft shade of blue for a family room can encourage relaxation for guests and family members. A warm shade of blue is an excellent choice for a bedroom, too. Yellow awakens the senses and communicates excitement. 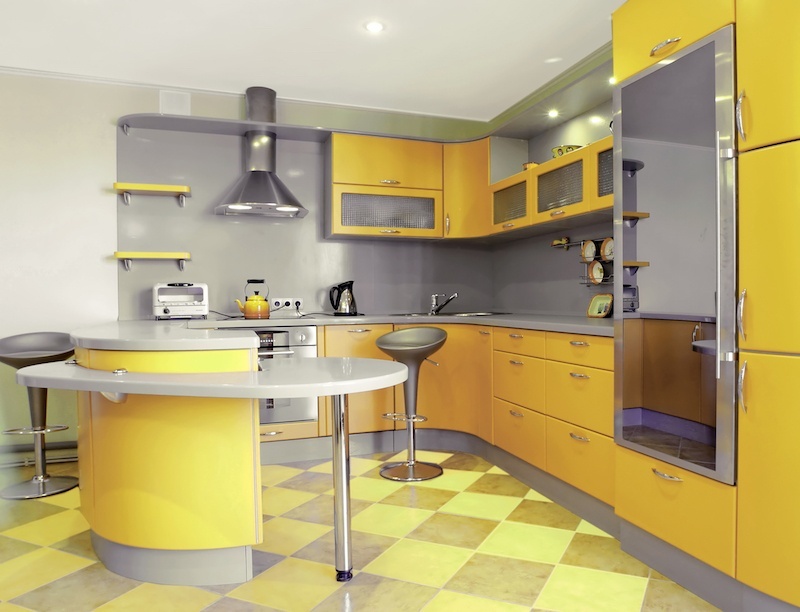 Use yellow in bathrooms or kitchens, and since the color is energizing and uplifting, use it sparingly - not in every room in your home - so it won't be overwhelming. Green combines the sense of calm of blue and the cheerfulness of yellow. It is said to be a restorative color and it quiets the mind. 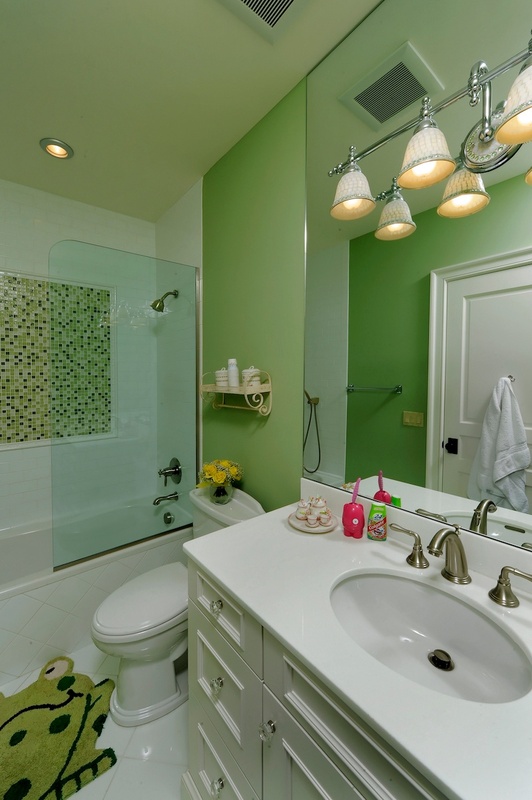 Green can be used in any room where you want to create a feeling of tranquility. Red generates a feeling of high energy. This is a great color to use in a dining room or living room where you want to stimulate conversation and elicit a sense of liveliness. Orange is also an exciting color and it raises energy levels. It can be used in more muted tones to convey a sense of high emotion without the intensity of vibrant orange. 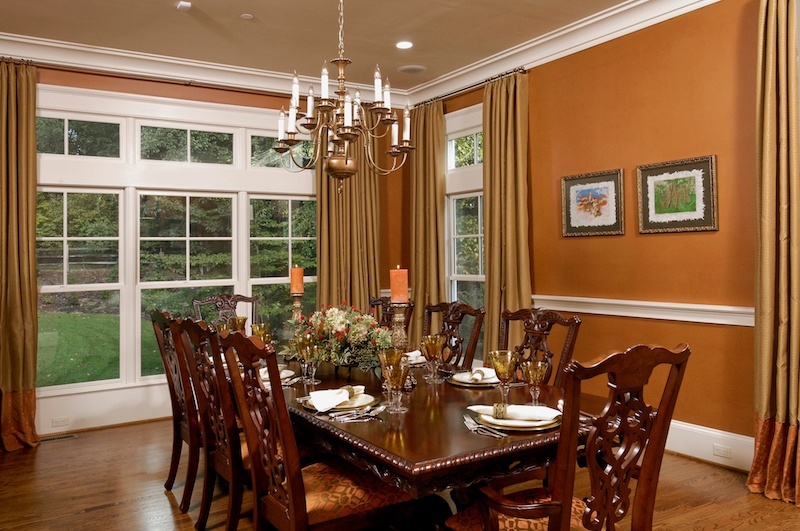 Orange can stimulate the appetite, so it is a perfect color in a dining room or kitchen. Light versions of purple, like lavender or lilac, can evoke the same sense of calm in a bedroom that blue does. When used in a deeper tone, such as eggplant, purple has a luxurious, dramatic look and feel. Pink is associated with romance and happiness. This color is available in tones as varied as cheery magenta to pleasing blush. It is often used in girls' rooms, as pink can be associated with childhood and joyfulness. 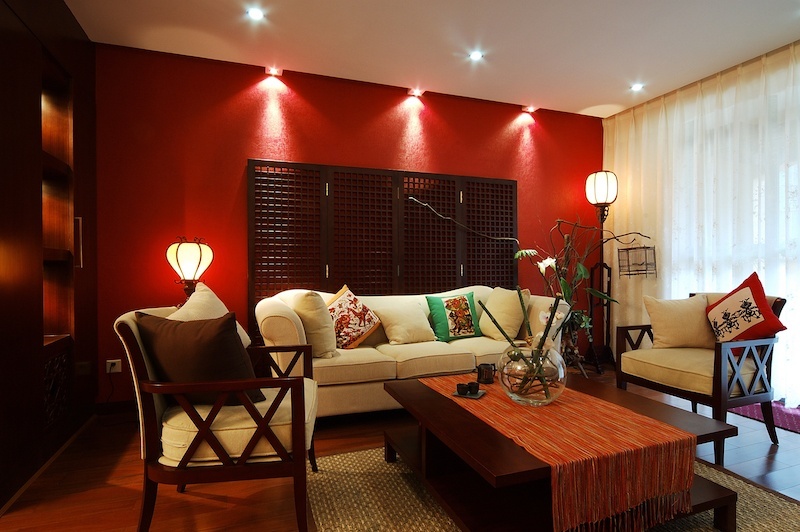 Neutral colors, such as gray, white and brown are useful in decorating because of their flexibility. 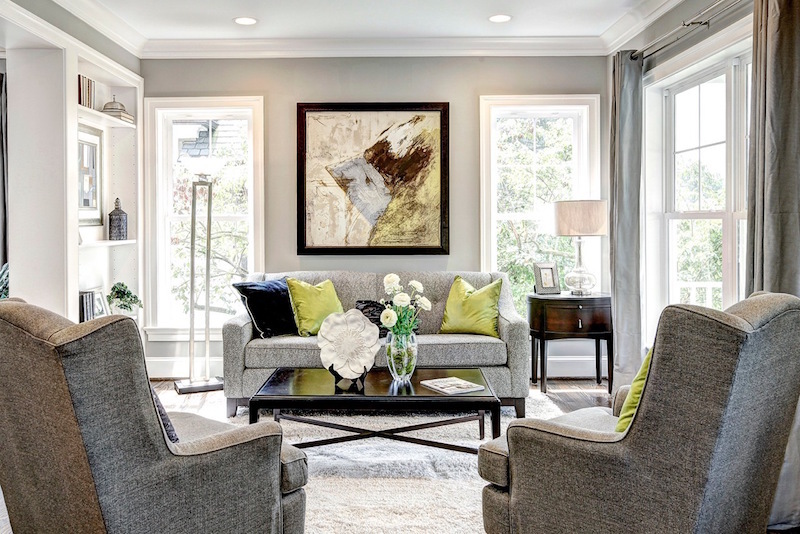 These colors are calming and can be used as a "background" against which a pop of color can be used to liven things up for a customized look and feel. Neutral colors are perfect for small rooms, such as bathrooms, as they create the illusion of a larger, more open space. Want some more tips about creating the perfect home? Download our free eBook "Building a House, Creating a Home" by clicking on the icon below.